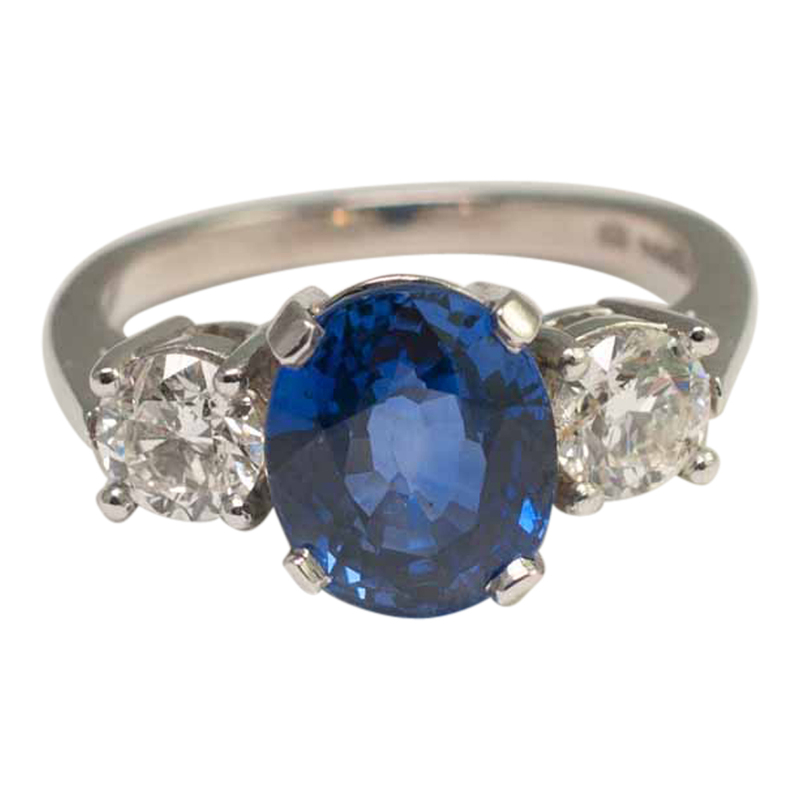 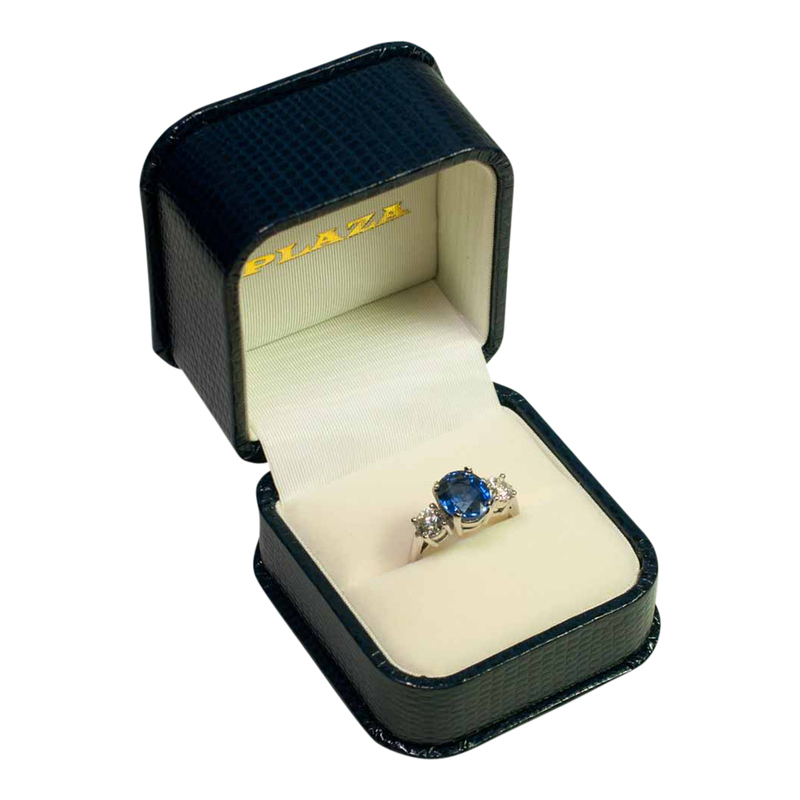 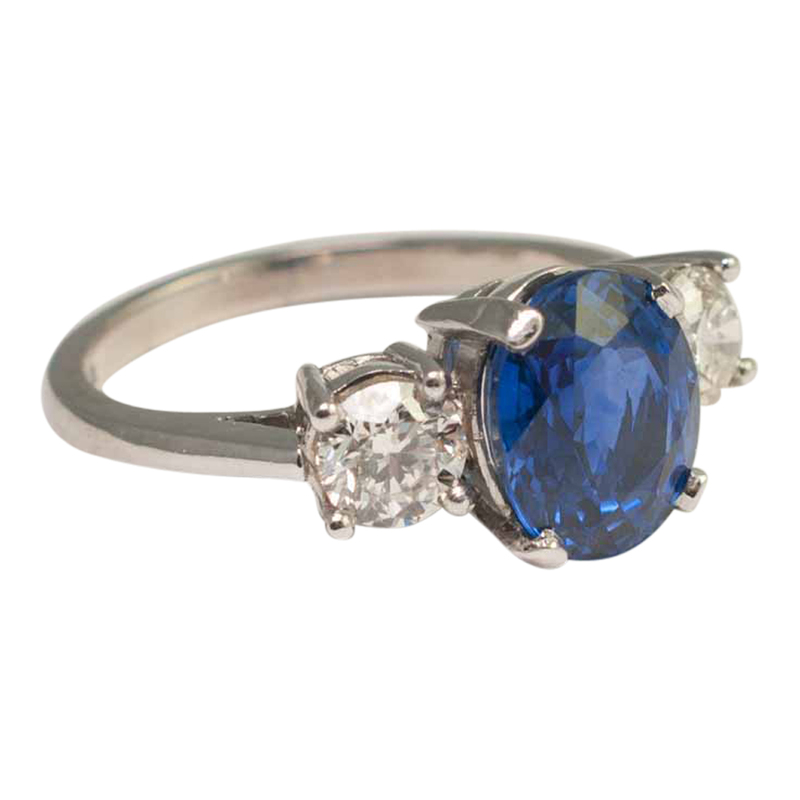 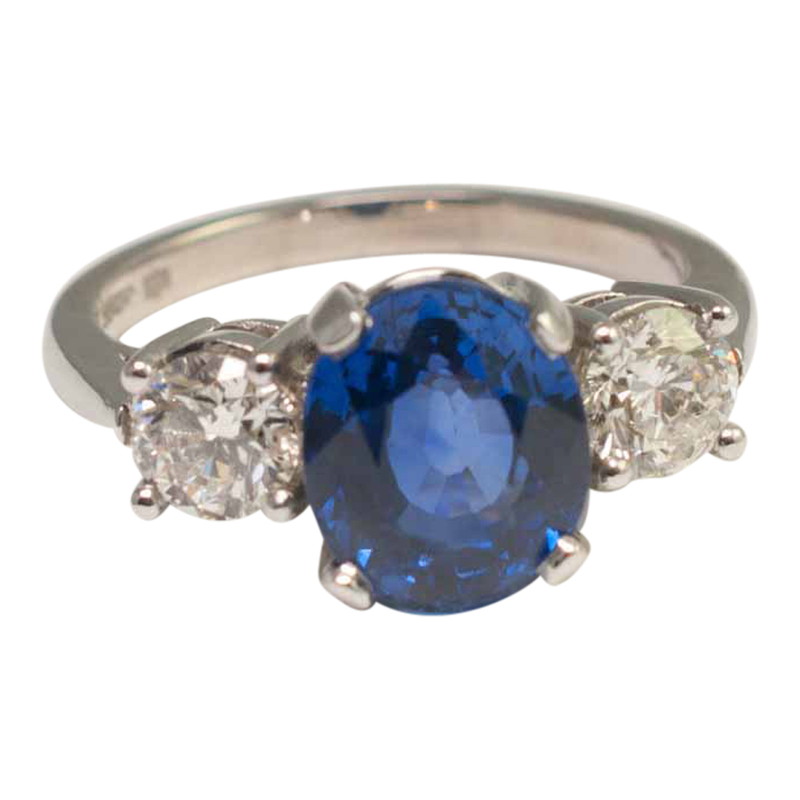 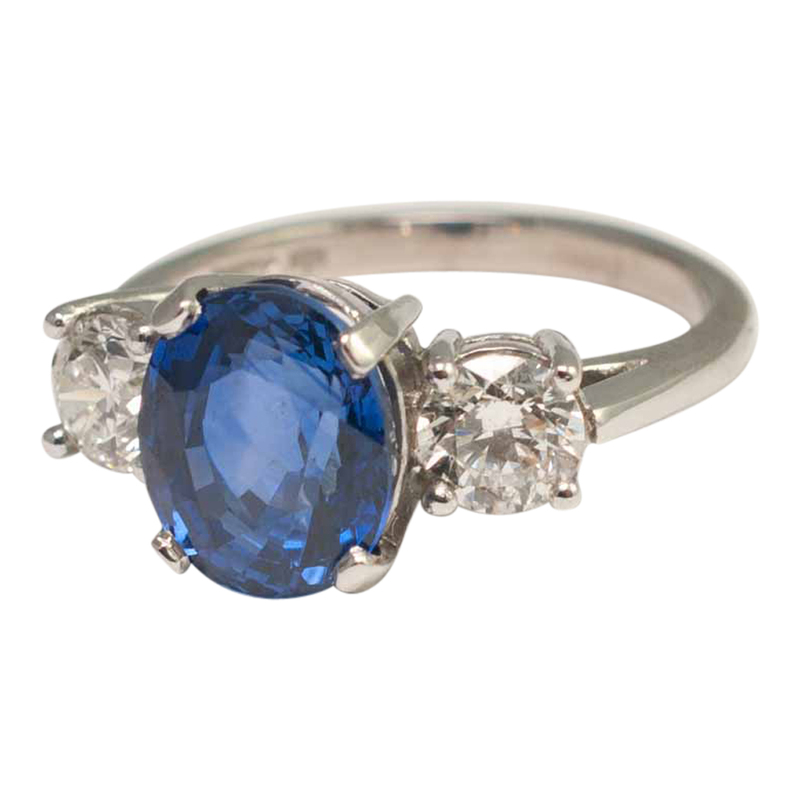 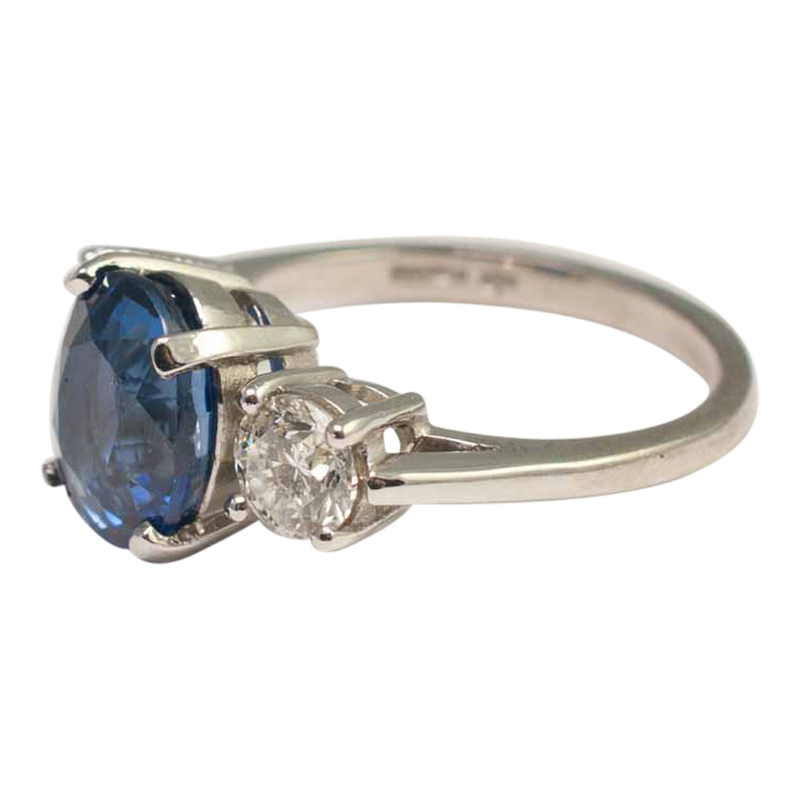 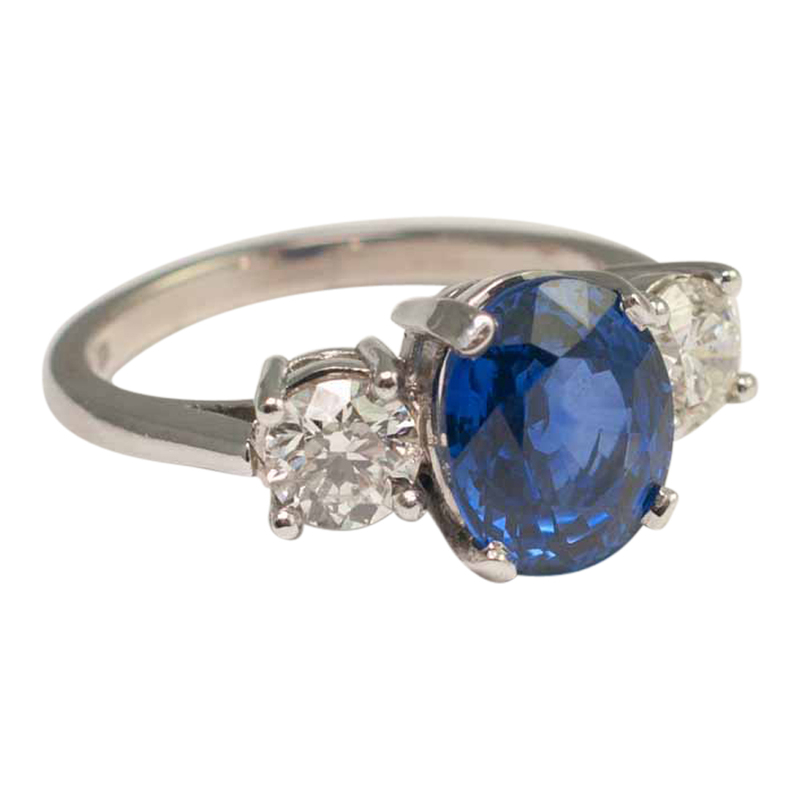 Sapphire and diamond 3 stone ring set in platinum; the oval mixed cut sapphire is a deep sky blue and weighs 3.70ct. 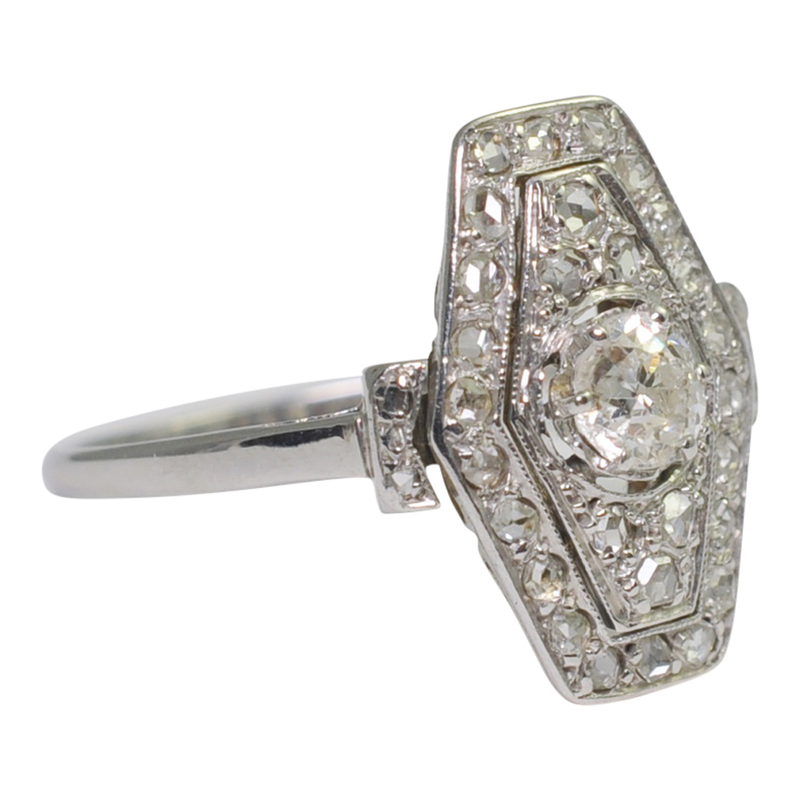 On each side is a brilliant cut diamond, total weight 0.94ct. 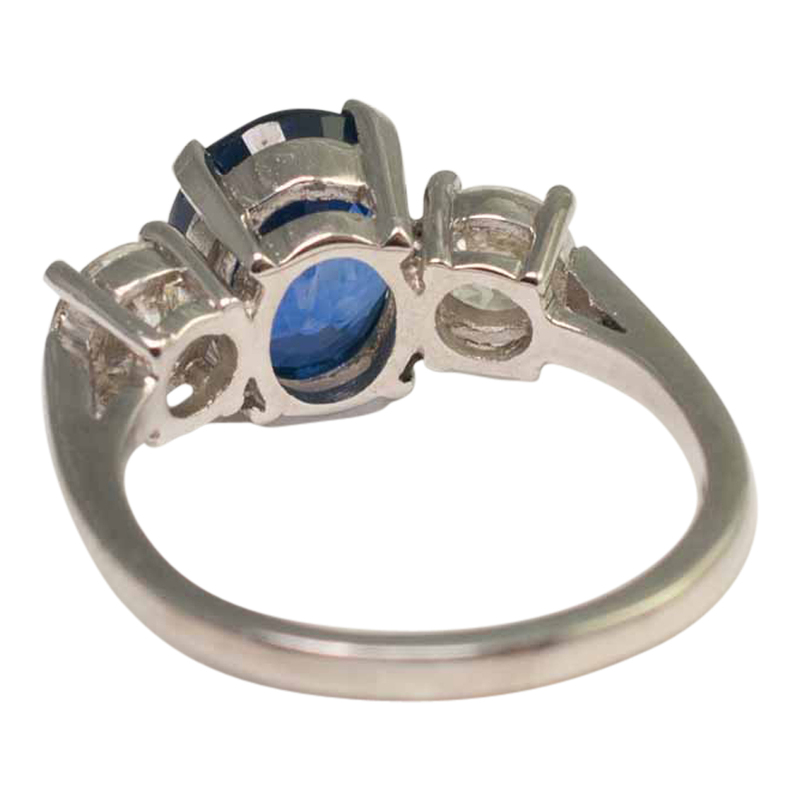 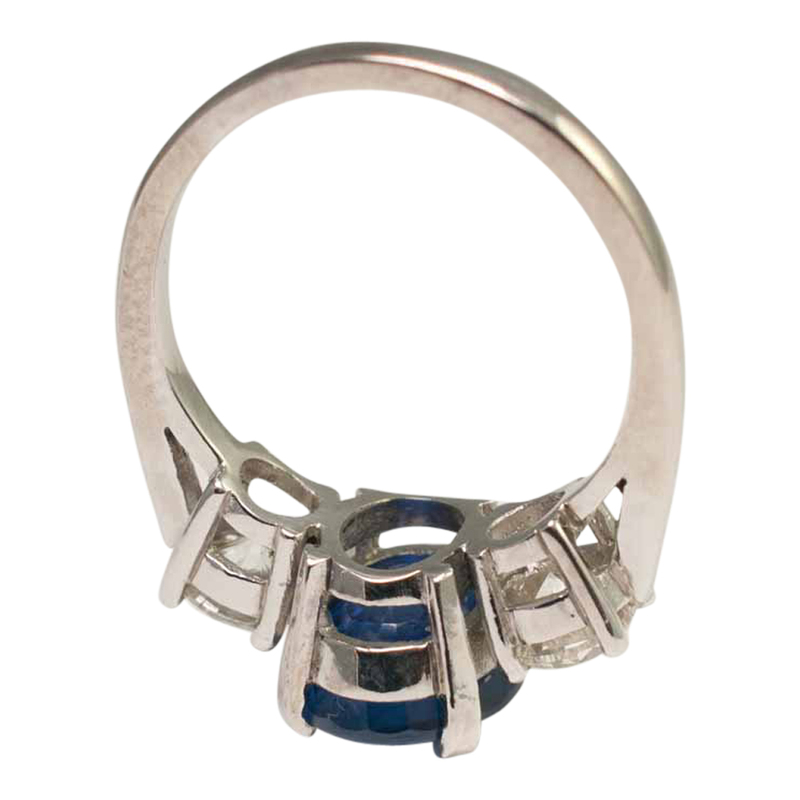 The stones are claw set, the ring is in excellent condition and has been professionally re-polished. 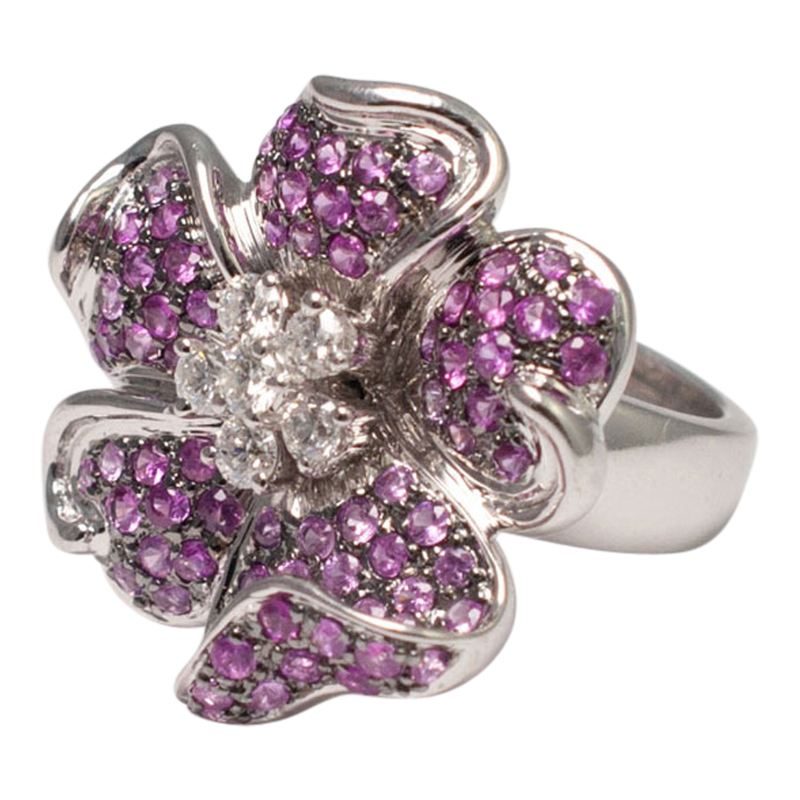 Weight 6.3gms. 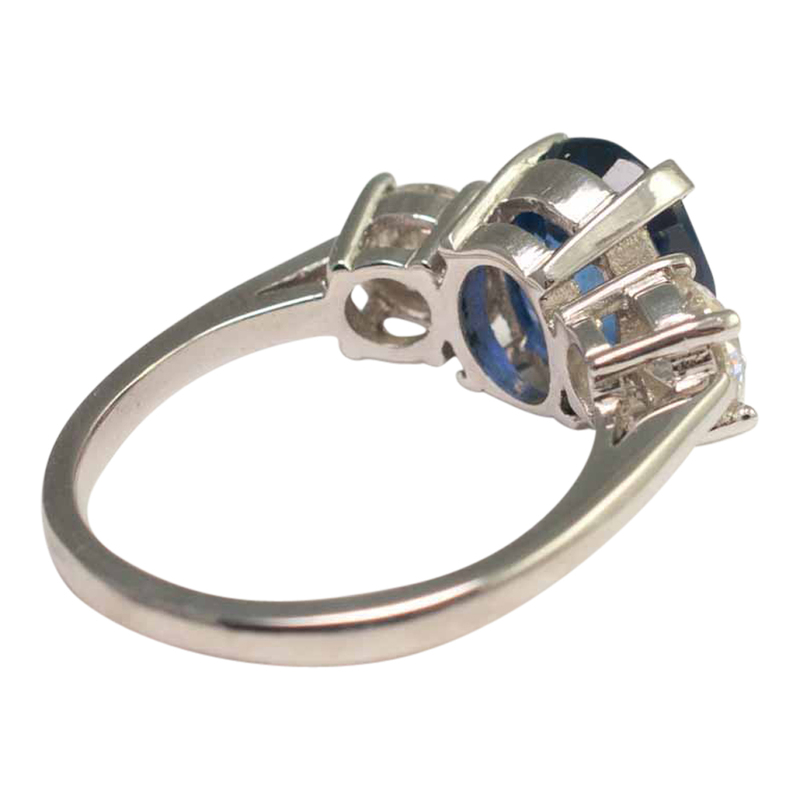 Fully hallmarked with British platinum mark. 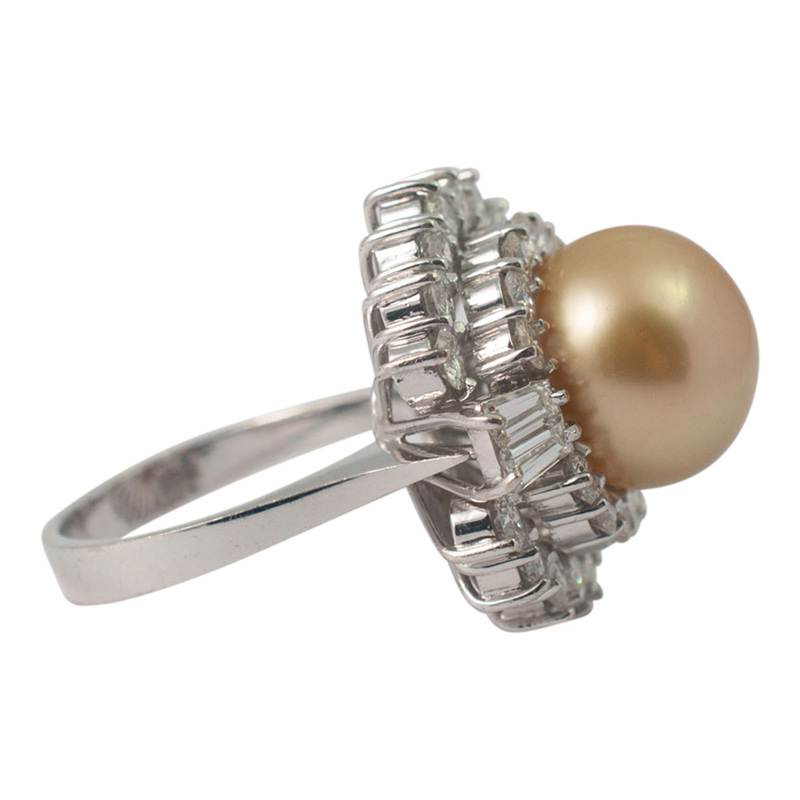 This ring would make a beautiful engagement ring. 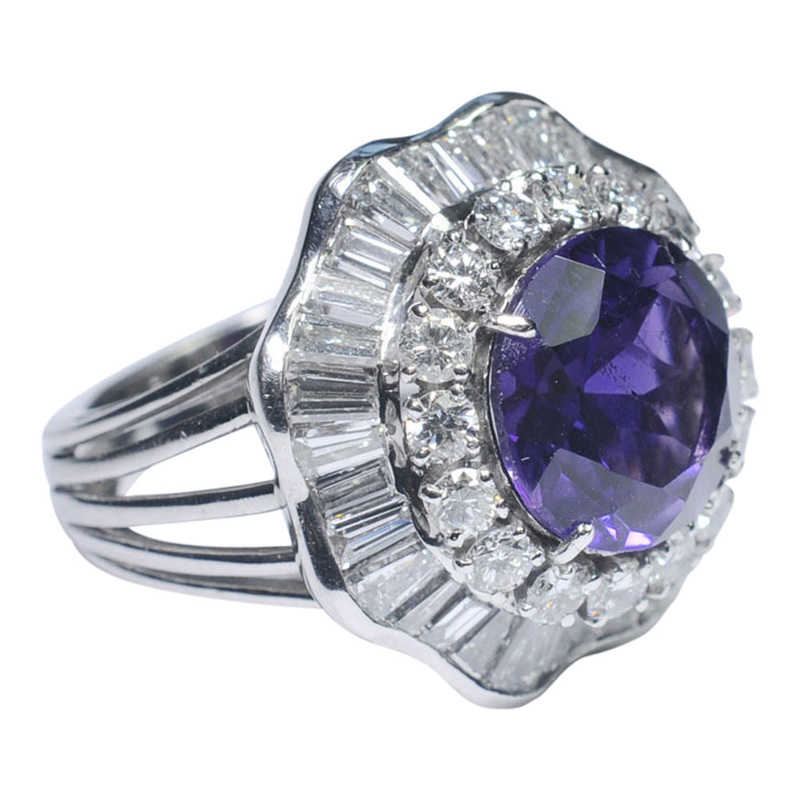 Finger size M (UK), 6.25 (US), 52 (EU) which we can re-size for you if required.